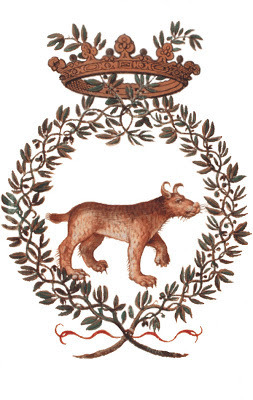 The seal of the Accademia dei Lincei. 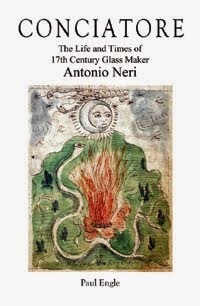 In the spring of 1612, Florentine priest Antonio Neri published his book on glassmaking. L'Arte Vetraria was the first printed book devoted to the formulation of glass from raw materials, but unfortunately for him it did not exactly take the world by storm, at least not at first. Sales were such that a number of copies still exist from the initial printing; they remain in pristine condition, never bound. Initially, the book received scant attention, but it was noticed. In fact, within a couple of years word had reached Rome, where Prince Federico Cesi, the founder of a scientific society, asked a Pisan member of his group to obtain a copy. That other member would go on to become one of the most recognized scientists in history. Meanwhile, L'Arte Vetraria gained prestige and readers, slowly but steadily. By the end of the century, Neri’s book would be translated into English, Latin, German, French and then back into English from the French. It became the bible of glassmakers throughout Europe. In 1614, the year of Antonio Neri's death, naturalist Prince Federico Cesi wrote to his good friend Galileo. He complained of the difficulties in getting material from the Roman libraries, urging the astronomer to send him a copy of Antonio Neri's book. The poor management of these libraries in Rome makes me feel continually thirsty for good books that come to light, which I can use for my study of compositions. They are scarcely giving me the titles, and after a long wait, only a tenth of what I asked. […] now I hear that printed in Florence is L'Arte Vetraria by Priest Antonio Neri, and I think there is some good in it. Please, your lordship, send me a copy, and believe me that I will gladly give them trouble. I thank your lordship for the book on glass, which I find very rich in experiments and beautiful artistry. In 1603, Cesi founded the Accademia dei Lincei (Society of the Lynxes), an early scientific society whose members (with eyes as sharp as a lynx's) eventually included both Galileo Galilei and Giambattista della Porta. Within a few months of Neri's death, his book was already on its way to making history. In classical Greek mythology Lynceus was the grandson of Perseus, and had preternaturally keen eyesight. See Apollodorus, Bibliotheke I, viii, 2 & ix, 16; III, x, 3 & ix, 2. * This post first appeared here in a shorter form on 1 August 2013.